Create Infographics with a ‘wow’ factor and bring your presentation alive. Infographics are a good way to simplify information, statistical data or complicated ideas quickly and efficiently in an immersive way with your audience. Think of a road sign – if the road sign designers had made it with lots of text on it you would miss the message – a simple graphic can quite literally, say a thousand words. Common ways of achieving this include using icons, maps and immersive graphics to get across complicated statistical concepts and immersing your audience with an animated infographic video quickly and easily. In this busy world, people want to get the facts and figures in the shortest time possible. Infographics are ideal for this. Many people find using Powerpoint long-winded, and while excellent results are achievable, when it isn’t your primary job it can take time. An animated infographics video created by a professional company can make a difference when it comes to your business, sales or concept pitch. You need a certain level of expertise in Pointpoint to get the most out of it and let’s be honest – most people do not have the time or inclination. A highly-impactful and immersive animated explainer video can get your point across and be the difference between success or failure with your pitch. Explaining how something operates technically or mechanically can help demystify how it works, perhaps with an exploded view of its internal workings and show their core features and benefits. Whether you are trying to show ‘before and after’ or ‘now and then’, infographics are a great way to show similarities and differences by creating an infographic explainer video. Animation can bring these to life, and people are more than 30 times more likely to watch your presentation if you are using infographics vs straight text. Social media including Facebook, SlideShare, LinkedIn, Pinterest and other platforms to drive traffic to your website. Email marketing using infographics is also another way to make your customers curious to find out more and makes for a great call-to-action in your e-newsletter, especially if the infographic links to a short and engaging animated infographic explainer video. 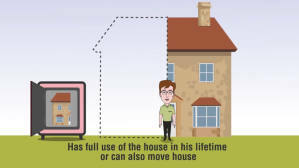 Blogs and Websites can also benefit from an infographic explainer video. Commonly used on landing pages and homepages, if you include a sharing link for visitors to share with others this can encourage further sharing and driving traffic to your website. White papers can be difficult to digest and infographics can break them up into critical and manageable modules for those that prefer to skip the detailed reading of any text. They are ideal for influencing your reader. Press Releases are an excellent candidate when you are looking for Powerpoint alternatives and making the ‘wow’ impact with your viewers. For example, you might illustrate some important research findings and want to share this with your business community to help establish your company as a leader in your field or industry. Our customers are safe in the knowledge that the agreed price is exactly that and there are never any hidden extras. After the first discussions, we finalise a price with you and that is the final price and includes everything needed to bring your infographic explainer video to the screen, including voiceover, scriptwriting, storyboard, character design and adjustment and music. Rest assured that any changes or adjustments we make during your project will be carried out without extra cost and everything included in a single fixed price. Modifications or alterations to your project include unlimited revisions to your script, any infographics, characters, music choice or storyboard. Very often clients need to create an infographic explainer video for a show they might be presenting at, for an important meeting or even to go on a website. We work hard to meet your deadlines and if the team can move project priorities around, we will. We take pride in making clients feeling part of the team every part of the way, and we are always available to help with any creative ideas, scriptwriting (if you choose to write your own) or questions you might have. 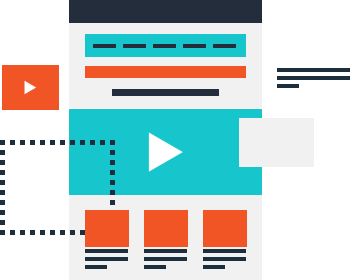 your assigned Project Manager will be with you very steps of the way from the first discussions through to bringing your animated infographic presentation to the screen.